• What are the different levels of existence? • Will Planet X and Niburu bring about destruction? • Will I see my deceased brother again? Does he hear me when I talk about him? • How many parallel lives do I have at this exact moment? • How many counterparts have I encountered physically in my life time? • Do I have any hybrid children? • Can I take a ride on your ship? • What do I do when friends of mine resonate with different pasts or parallel realities than I do? • Is there some connection between to Dogon people and Akhenaten, Nefertiti and Meritaten? • Can my hybrid children see through my eyes? • Why do I find it difficult to return from dream-time? • Can you comment on the amount of UFOs that I see in dreams? • Why do I "freak out" when I see ETs in my dreams? • Am I a hybrid? • Is the history of the earth "real" reality? • Is it necessary to remember dreams? • How can we connect to our past lives? • How is water representative of emotion? • Have I met my counterparts? • How can I alleviate my fear of sharks? • What's the key to understanding whale songs? • How can we increase our 10% brain use? • Bashar speaks on 40 cycle gamma frequency. • Can you speak on Breatharianism? • What do repeating numbers in my reality mean? • How can I overcome my resistance to the unexpected? • Is there a permission slip to gain more lucidity in my dreams? • What is the paralysis I feel upon awakening from dream time? • In detoxing, how can one eliminate sulfur residue? • What are places with gravitational anomalies like the Santa Cruz mystery spot and Oregon Vortex? • What are the gateways carved in solid stone in Peru? • Bashar discusses the psychomanteum. 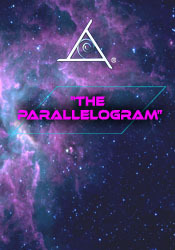 • What is the intersection between parallel realities? • Does the non physical part of me need to be grounded? • Can you speak on my connection with The Hathors and faeries? • Why do I wake up with a feeling that I am missing something? • What is the energetic reason for the pain in my shoulder? • Could you speak on the spiritual energy of acts of kindness? Can you comment on the spiritual energy of laughter? • Is the experience of beauty unique to humanity? • Why are there different experiences of densities? • How can I become more in alignment with my higher self? • Why do I chose doubt? • Are we of the same oversoul? • Bashar speaks on creation as a trinity. • Can you speak on tachyons and their containment in glass? • Can you speak on activating communication through the oversoul? • Can you tell me about my Arcturian and Venutian connections? • Can you speak on Pleadian Sirian connections? • Did Jesus Christ have a Sirian connection? • Could you comment on "Ama?"